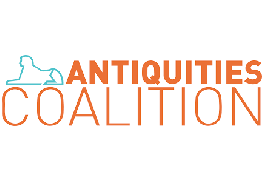 The Hashemite Kingdom of Jordan, Antiquities Coalition, and Middle East Institute hosted the second annual #CultureUnderThreat Regional Conference in Amman on 8 September 2016. Part of a continuing global initiative, this ministerial summit brought together ministers from 17 Arab League nations, hosted by Jordanian Deputy Prime Minister Nasser Judeh. These regional leaders coordinated actions to fight against the security, economic, and cultural crisis now facing the Middle East and North Africa (MENA). The Jordanian Minister of Tourism and Antiquities, Her Excellency Lina Annab, chaired the proceedings. The high-level meeting concluded with a pledge to work together to put an end to this illicit trade through the Amman Communiqué. The Communiqué reaffirms the MENA region’s commitment to cooperate in this fight: “crimes against culture are crimes against civilization. They pledge to work together to bring this illicit trade to a halt.” In addition, the Middle East and North African Task Force Against Cultural Racketeering, consisting of government representatives from each country, held its inaugural meeting to finalize an action plan for 2016-2017 on specific actions to be taken in this fight. The #CultureUnderThreat regional conference is held on an annual basis to bring together countries and leading experts to coordinate efforts in the fight to combat cultural racketeering. This historic event builds upon the 2015 Cairo Conference. At the end of the conference, the participating countries issued the historic Cairo Declaration, denouncing the “blood antiquities” trade and announcing an “action plan” to stop terrorist financing through cultural racketeering. The Cairo Conference and Declaration were reinforced by a special high-level forum during the 70th Session of the United Nations General Assembly in September 2015. We are proud to have returned to the Middle East to continue this important work.